Throughout the year, we offer clients and candidates a varied programme of events including networking opportunities, seminars and workshops, briefings on key industry issues, guest speakers and glittering awards ceremonies. Thank you to everyone that was able to join us for the gin tasting evening in February. The event took place at The Spirit of Harrogate – Home of Slingsby Gin. We were joined by some of our clients and had a lovely time tasting a variety of Gins. Thank you to Sam and Ben our Mixologists for teaching us all about the history of Gin. Annual Halloween Pumpkin Carving Competition! Have a go at our pumpkin competition and win a prize for you and your team! to bring you an evening of Pool & Table Tennis! Join us on Thursday 6th July, from 6:30 pm for an evening of networking, whilst participating in pool & table tennis competitions!! Nominations are now open for the Young Accountant of the Year 2017 awards. The competition is open to those who are either training to be qualified or have been qualified for up to two years and potential winners can be nominated by their colleagues, peers or senior managers. The winner of the Young Accountant of the Year 2017 competition will receive a luxury weekend for two to Barcelona and the runners up will also receive a prize when the winner is announced at the LCASS Annual Dinner in February 2017, at the Royal Armouries in Leeds. Join us for an evening of festive celebrations and get into the Christmas spirit! Email contact@sharpconsultancy.com to register your interest and get on the guest list! ‘Tales from History’ Themed Day in Leeds! Another themed day held at Sharp Consultancy saw the Leeds team dress up as figures from history! Led by Imogen Hampson-Smith, many games were played throughout the day, which ultimately ended in a forfeit of pie face! You can’t win them all Imogen! Sharp Consultancy Leeds Fancy Dress Day! A sales day arranged by Megan McLafferty saw the Leeds team dressing up as ‘Mystical & Magical Characters’… with lots of competitions and prizes won along the way! See anyone you recognise!? Time to dust those clubs off! Sharp Consultancy are hosting an invitational Golf Day! With the Summer now in full swing, Sharp Consultancy is delighted to be hosting its inaugural Invitational Golf Day at the picturesque Sickleholme Golf Club in Bamford, Derbyshire. The day will undertake a relaxed tone giving a number of Senior Finance Professionals of mixed abilities the chance to play this enjoyable golf course set against a wonderful backdrop in the heart of the Peak District. Whether a regular golfer, or someone who simply tees off once or twice a year, this will be a great opportunity to informally network, whilst enjoying the stunning views the course offers. There will be the opportunity to relive those magic (or not so magic) shots in the 19th over a light lunch. Senior Consultant Ben Graney will be hosting the event on behalf of Sharp Consultancy. For further details please email heatherakeroyd@sharpconsultancy.com or call 0114 261 1700. Attendance must be confirmed in advance and please note that numbers are strictly limited. Do you fancy yourself as a master mixologist? With several expert bartenders on hand to show you some classic recipes, you’ll get to make a couple of classic cocktails yourself, learn about the history of cocktails and how to identify key ingredients. And of course, you’ll get to enjoy drinking your creations! In addition to a welcome drink and cocktails there will be pizzas provided by the venue, and you’ll be able to relax and enjoy some informal networking with a wide variety of other young professionals alongside the evening’s activities. The event will be hosted by Dan Statham, Senior Consultant at Sharp Consultancy. Sharp Consultancy specialises in the recruitment of finance and HR professionals. With offices in Leeds, Sheffield, Doncaster and Manchester our highly experienced team of consultants recruit for temporary, interim and permanent roles across the full spectrum of positions throughout Yorkshire and the North West. 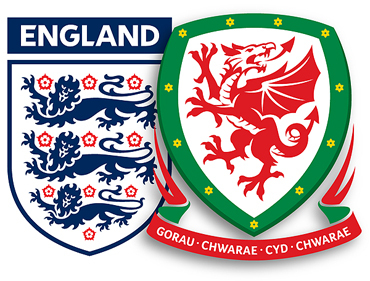 England vs. Wales Football Networking Event! Come and join us at the Midnight Bell for the Euro 2016 – England vs Wales game. We will be hosting the event in a private room, giving you the chance to network with other finance professionals whilst enjoying the match! Caffe Leopold Prosecco Lounge, Leopold Square, Sheffield. Sharp Consultancy is hosting its first Women in Business Prosecco Tasting Evening which will offer senior professionals within South Yorkshire and Derbyshire the opportunity to network and share ideas as well as be expertly guided through an informative tasting session. A professional Sommelier will help CFOs, Financial Directors, Financial Controllers, Management Accountants, Finance Managers, Credit Managers & Supervisors, Accounts Payable professionals and HR Managers to sample five different Proseccos and share the secret of what to look for when choosing a great wine; a generous selection of Continental canapés including the finest meats and cheese platters, olives, tomatoes, breads and dips will also be available. Senior consultant Rachael Kerr will be hosting the event on behalf of Sharp Consultancy.